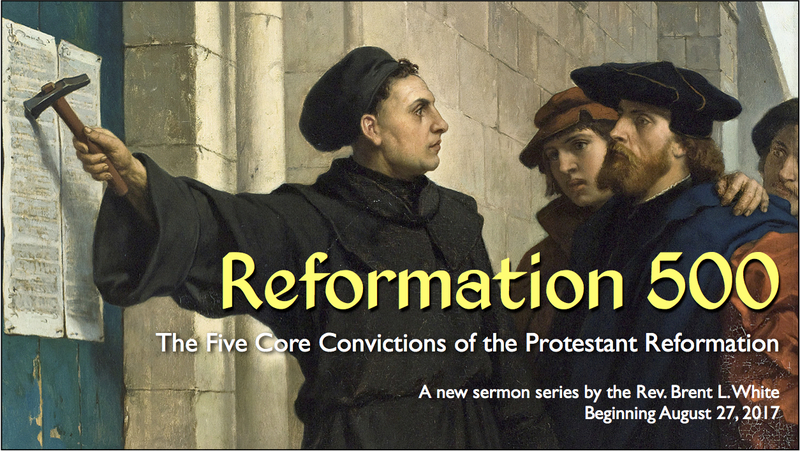 Today’s sermon examines the Protestant (and biblical) doctrine of Sola Gratia—that we are saved by God’s grace alone. I begin the sermon looking at two Old Testament portrayals of grace and how they relate to the cross of God’s Son Jesus. These will give us a sense of how costly grace is. Understanding the costliness of grace will help us fall in love with Jesus Christ more and more. I want to begin with two pictures of grace from holy scripture. I could find dozens of more that would illustrate my point, but I only have time for two. The first comes from Genesis 15: God has just promised Abraham that he will make his descendants as numerous as the stars in the sky. That will take a miracle, but God will do it. These descendants will be God’s chosen people Israel, and through Israel God would save the world by sending his Son Jesus. So Abraham will enter the convent with God on Israel’s behalf. How he enters this covenant will sound strange to our ears, but this is what ancient people did: At the Lord’s command, Abraham cut in half a heifer, a female goat, and a ram. When night fell, God appeared to Abraham in the form of a fire pot and a flaming torch. And this fiery vision—representing God—passed in between the two halves of each animal carcass. What does that symbolize? It’s as if God were saying, “May I become just like these animals—may I die like these animals—may my blood be shed like these animals—if I fail to live up to this covenant and keep my promises.” And next, we would expect the other party to the covenant to walk between the animal carcasses. But guess what? Abraham doesn’t do that. Only God does. God, in other words, was assuming responsibility for both sides of the covenant: If Israel breaks the covenant, God will suffer the penalty. That’s grace. Here’s my second picture of grace, from Genesis 22: God commands Abraham to sacrifice the most precious thing Abraham had ever known: his beloved son. Or perhaps I should say the second most precious thing Abraham had known, because, as Abraham demonstrates, God is more precious to him than even his beloved son. How do we know? Because he’s willing to obey God, even though God was asking him to do the most difficult thing imaginable: sacrificing his own son! And of course, as Abraham raises the knife to slay his son, God stops him. And what does God provide for Abraham instead: a ram whose horns are caught in a thicket. Abraham took the ram and slaughtered it and offered it as a burnt offering instead. God enables Abraham to offer a lamb as a sacrifice in place of his child. That’s grace. What’s my point? Each of these is an example of God’s grace. In each example, God offers a gift that these humans—because of their sin—don’t deserve: Abraham and his descendants—the nation of Israel—were sinners who would break covenant with God time and time again—as the rest of the Old Testament bears tragic witness. Yet ultimately it was God who would pay the penalty for their disobedience! He would become like one of those sacrificed animals that his fiery presence passed in between! And because of our sin God would do what he ultimately prevented Abraham from doing: He would offer his beloved Son Jesus as a sacrifice. What does John the Baptist say to his disciples when he first sees Jesus in John chapter 1: “Behold the lamb of God who takes away the sins of the world.” God himself, in Christ Jesus, would be the sacrificial lamb. His Son Jesus would be the lamb that would be offered as a sacrifice in place of humanity. I attended a friend’s wedding several years ago. He’s Catholic, and in their tradition, they don’t do empty crosses in their sanctuaries—as we Protestants do—they do crucifixes. And in the sanctuary where this wedding was held, there was this ghastly, bloody pulp of a body hanging on the cross. It was startling… frightening. Unlike many of you, I never saw Mel Gibson’s Passion of the Christ, but I’ve seen photos from it. This crucifix looked as lifelike as that! There was something deeply truthful about that crucifix. If they sang “Nothing But the Blood of Jesus” in that sanctuary, they would not forget the deeply painful and costly and bloody price that God paid to save us! Brothers and sisters, may we never forget that Jesus’ ugly, bloody body hanging on the cross is the best picture of what grace looks like! It’s so brutal, so grisly, so gory we can hardly stand to look at it, but there it is! That’s grace! When I came to this church, I noticed a tagline that often appeared near our church name. It was on the bulletin, on pamphlets, on the business cards. Do you remember it? It said, “Hampton United Methodist: A place of grace.” I love that. I hope our church is a place of grace. So long as we don’t forget that the ultimate place of grace was a hill called Calvary! And it’s bloody and costly and ugly. We can hardly stand to look at it. But that’s grace. Amen? There’s nothing sentimental about grace. It’s infinitely costly. It’s the most precious thing in the universe. We shouldn’t speak of it casually. We should not treat it lightly. We should not presume upon it—as if to say, “Of course God gives us his grace!” God does not give us his grace because God is nice, and that’s just the sort of thing that God does. He gives us his grace because he loved us so much that he sent his Son to die on the cross. It is only through the cross that grace becomes possible for us. And why was the blood, the violence, the suffering of the cross necessary in order for God to give us his grace? Because of the deadly serious nature of our human problem. Paul describes this problem in the first three verses of today’s scripture. He says in verse 1: We were “dead in our trespasses and sins.” That is, we were spiritually dead. Dead—not sick. That distinction is important. I visited George Voigt in the hospital last week. He was very sick because of this kidney problem that he has, and it’s possible, the doctor said, that his recent problem was caused by his diet. And it’s also possible that if he eats these certain foods, and these foods only, and avoids eating these other foods, he will feel much better. My point is, when you’re sick, you have some control over the situation: Buddy woke up feeling dizzy Tuesday morning and decided he needed to go to the ER. Even if you’re so sick all you can do is admit you’re sick, you still have some control: agreeing to allow a doctor to help you is a little something that any sick person can do. Obviously, if we’re dead we can do nothing to help ourselves! Do we know that we’re dead in our sins apart from Christ? If we don’t, then we will perceive that grace is a light thing. In his commentary on this text, N.T. Wright puts this problem in stark relief. He describes a real-life episode in the life an English author named James Herriot. Herriot has eaten an expensive meal at a restaurant only to discover that he left his wallet at home. He has no money! What’s he going to do? The man is desperately worried. In the meantime, without his knowing it, a generous friend has learned that he has no money, so he calls the restaurant and pays Herriot’s bill in full. So Herriot is off the hook. His debt is paid. He’s free to leave! That’s grace. Suppose, by contrast, that Herriot’s friend, knowing that his friend is in dire straits, calls the restaurant and pays, not for the man’s expensive meal, but for a violinist to come and play music at his table. No, it’s all God’s grace from first to last. Brothers and sisters, I’ve talked briefly about the costliness of grace. I’ve talked briefly about the depth of our problem with sin. I’ve talked briefly about our utter helplessness to save ourselves. I’ve shared this this with you because I believe that the biggest problem facing us Christians, the biggest problem facing the denomination called as The United Methodist Church, the biggest problem facing the Hampton United Methodist Church, is the same problem that Jesus describes in his letter to the church at Ephesus in Revelation chapter 2: we have “abandoned the love [we] had at first.” We need to fall in love with Jesus all over again. Even this budget shortfall that we’re facing as a church isn’t because we’re not generous people. Of course we’re generous! If you don’t believe me, think about the last time you fell in love with someone—if you’ve had that experience. When you’re in love with someone, you don’t even think about money! The person you’re in love with is worth everything to you; money is no object. You would give everything you have to show that person how much you love them. When you’re in love, you spend extravagantly… lavishly. You’re incredibly generous… when you’re in love. “What’s mine is yours,” we say to the person we love. My point is, if you’re in love with Jesus—if your love for him hasn’t grown cold—then of course you’ll give generously to him—and the primary means by which God has established for us to give generously to Jesus is through this, his church! But you know from your experience of being in love that love can grow cold over time. You know how easy it is to get distracted by other things… and to forget… to forget the reasons you fell in love in the first place. I admit I’m fascinated by the British royal family: the idea that you can have so much—so many privileges in life—just by virtue of the family into which you happened to be born! I know there are great responsibilities that come with it, too, but still… In a way it’s incredibly unfair, isn’t it? That just by virtue of being born you can have nearly all of your needs met just by asking. Last week, a video went viral. Some of you may have seen it. Prince Harry was in Toronto watching athletes with disabilities compete in an athletic event there. On his right is the wife of one of the athletes and her two-year-old daughter. Prince Harry, as you can see, had a box of popcorn. And unbeknownst to him, while he was busy talking to the man on his left, this adorable child reached over and began eating his popcorn. And when he realized what was going on, of course, he happily shared his popcorn with her. Part of the charm of this incident is that, for most of us, it would be highly inappropriate to take something that belongs to the son of the next king of England. Of course, a little child can get away with it; and that’s why she steals our heart. This is precisely what Paul is saying Christ has done for us in verses 4 through 7: If you’re a Christian, everything that belongs to the Son of the king—the Son in our case being Jesus Christ—belongs to us. He’s given us everything! Everything that belongs to him is now ours! What more do we need? What more could we ask for? This is the foundation for happiness and joy in our lives! If we want to be reminded of why we should be so happy and joyful, let’s look at this scripture. Let’s read it over and over again. Let’s not forget what our Lord Jesus Christ has given us. And let’s be happy because of that. Do you see the point? If someone could look at our lives, what would they say about us and our own happiness? Would they say that we understand this gift of God’s grace? Or would they say, “You don’t understand it because you’re not happy enough.” Because if you understood what God has done for us in Christ, you’d realize how happy and joyful you should be! Oh, dear God, make us happy knowing that our Lord and Savior has given us everything! What amazing grace that is! 1. N.T. Wright, Paul for Everyone: The Prison Letters (Louisville, KY: WJK, 2004), 21-2.